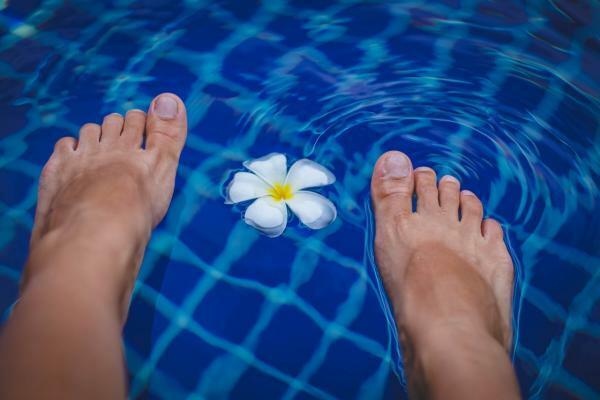 Fungal infection of the toenail, also known as onychomycosis, is a common dermatologic disorder, affecting over 10% of the population and 40% over the age of 70, says Mark Lin and Wei Lee Sports Podiatrists at Footwork Podiatry in Sydney. While both fingernails and toenails can be infected, it turns out that infections of the toenails are more common. “This is an unpleasant condition which results in thickening, discolouration and splitting of the nail as well as lifting of the nail away from the nail bed,” says Lin. A larger issue is that infection can easily spread to other toenails or fingernails while trimming the infected toenail and even to other members of the family. Severe cases can lead to ingrown toenail and secondary infection. “The deformed toenails look unattractive and can have a negative psychological impact and even reduce quality of life,” Lin says. “This cutting-edge laser technology has the ability to penetrate the nail safely to reach the colony of fungal spores beneath the nail.” Said Lin. The laser irradiation delivers high energy pulses to precisely target the site of the infection with minimal damage to surrounding tissue. “Due to the light absorbing substance present in the fungus, laser irradiation results in the production of high levels of heat in the fungal cells, which effectively destroys the pathogen and resolves the infection,” Lin continued. Laser therapy treatment first gained popularity in the United States approximately five years ago and is quickly becoming the treatment of choice in managing fungal nail infections in Australia, as it offers far greater advantages over traditional treatment of fungal nails. “Fungal nail laser therapy is safe, has no side effects and is more effective for deeper infections,” says Lee. If Your Back Hurts, You Might Need a Sports Podiatrist or a Better Office Chair Says Leading Sydney CBD and North Shore Sports Podiatrist Mark Lin of Footwork Podiatry.